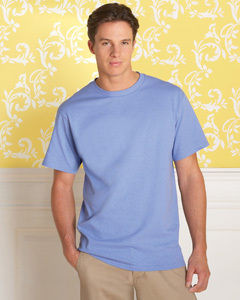 The prices below include a one color design silk screened on the front or back of a 50/50 or 100% cotton tee shirt. You supply artwork for logos or special designs. Call for a quote on two sided printing or for larger quantities or for extra colors or for full color (including color or black and white photos). No set-up or screen charges! Free typesetting! Add $2.00 for size XXL, $2.75 for XXXL. Ask about pockets, long sleeves, ringers, youth sizes.